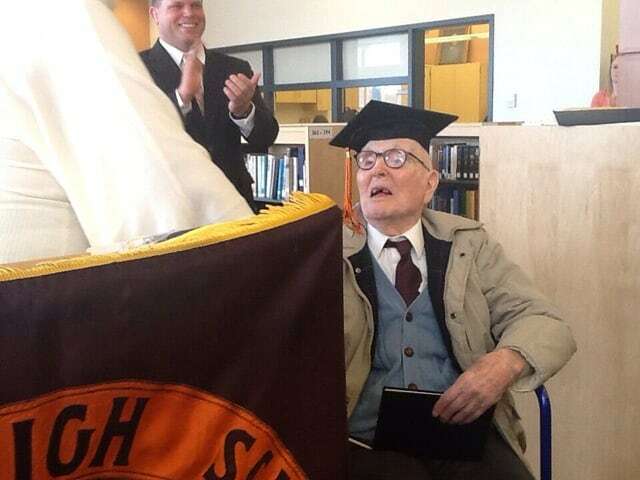 Getting a high school diploma when you’re a centenarian might seem like an odd thing to do, but for the people on this list, receiving their high school diploma was always a life long dream. 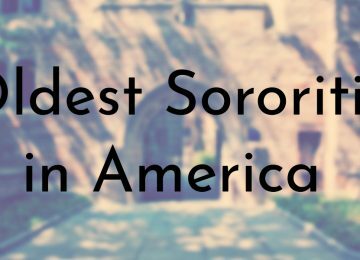 The people on this list were unable to complete high school because real life hit them at a young age. 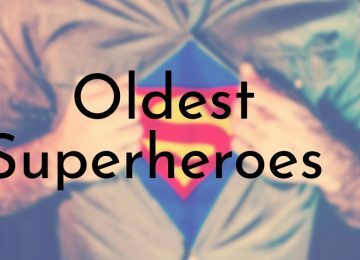 Many of them were the oldest child and had to help out financially, others had to leave because of the Great Depression, and a few of the men left to join the Army during World War II. 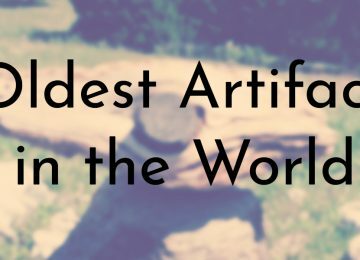 All of these people led full lives, but always regretted not getting a high school diploma. 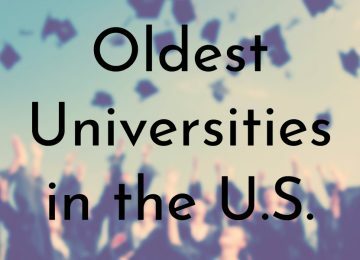 However, with the help of their loving families and supportive school districts, all of the people on this list were given honorary degrees, making them the oldest high school graduates in the world. During the Carbondale Area High School’s 2016 graduation ceremony, Gilroy was presented with his diploma by the school’s principal, Joseph Farrell. 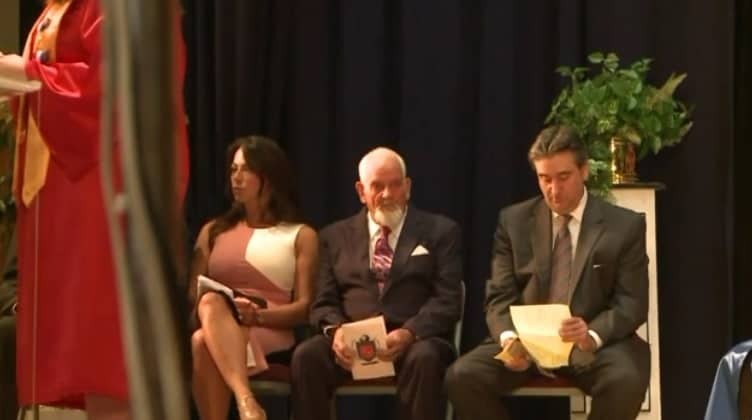 Gilroy’s children and grandchildren cried while their patriarch received this honor. 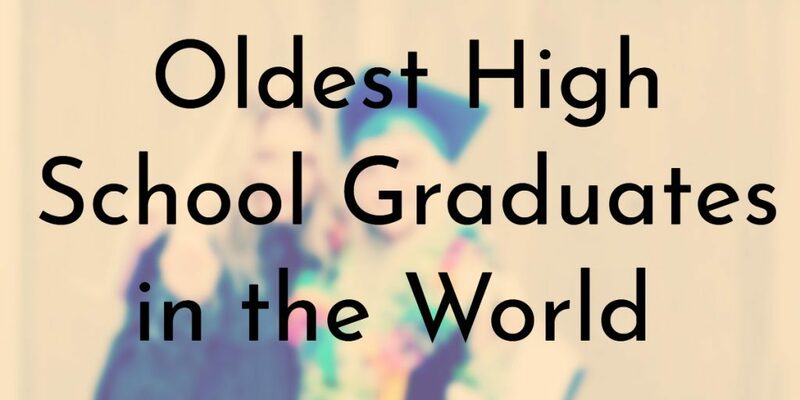 Unlike everyone else on this list, Dorothy Huston was actually very close to graduating high school back in 1942. Following a series of unfortunate events, Huston was expelled from school right before graduation. Huston had accidentally revealed that she had secretly gotten married after she disobeyed her gym teacher. Instead of listening, Huston stormed off and said she was going home because she was married. 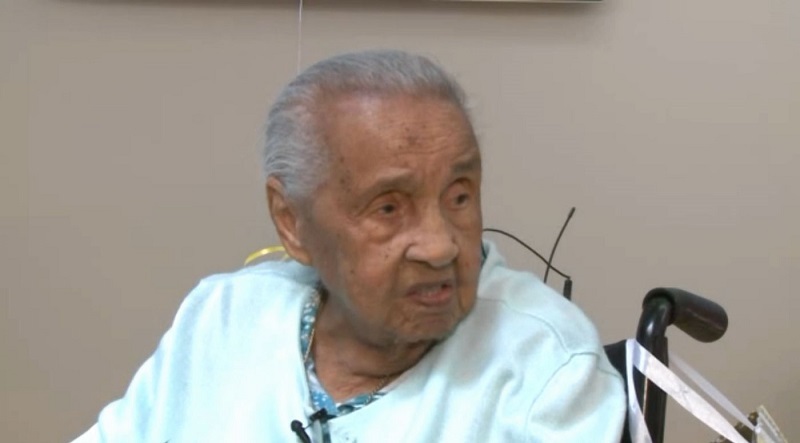 According to Huston’s children, not graduating from high school was the biggest regret of her life and “the stupidest thing [she] ever did.” As her 93rd birthday approached, one of Huston’s daugthers, Jan Larkin, sent a letter to Akron Public Schools and told them that her mother deserved her diploma. The school district agreed and surprised Huston on her birthday. 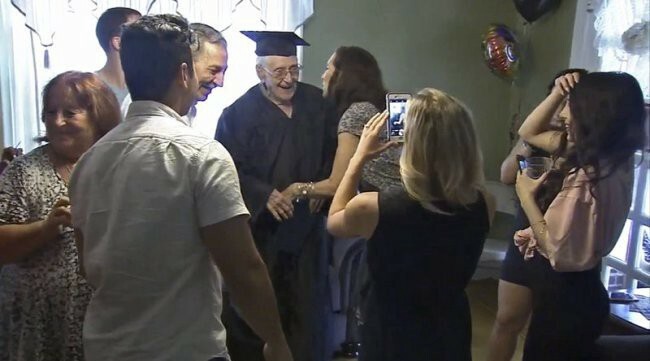 Charles Leuzzi is a decorated World War II veteran – he was given two Purple Hearts, and Four Bronze Star medals for his heroism – who added another honor to his collection when he finally received his high school diploma at the age of 97. Leuzzi wanted to graduate high school, but had to leave just before his junior year started to help his family financially. Leuzzi’s parents were Italian immigrants who wanted their son to go to school, but because his dad wasn’t earning enough and his mother was disabled, Leuzzi felt it was more important to go to work to help out. After World War II, Leuzzi got married, had three daughters, and worked as a a shipper at After Six Formal Wear until he retired in 1994. Leuzzi said that his only regret in his happy life was not fulfilling his parents’ dream of completing his education. 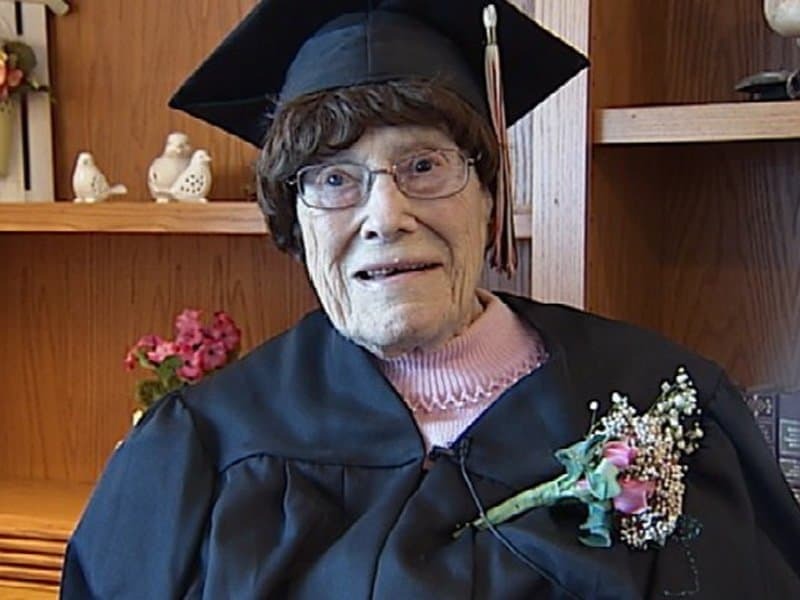 When Margaret Bekema received her honorary diploma at the age of 97, she cried tears of joy. Bekema was a former student of Catholic Central High School, which gave her the degree. Unfortunately, Bekema’s mother died when she was still a teenager and she had to leave school to run the household and take care of her siblings. Even though, Bekema did not finish high school, she had a fulfilling life. Bekema did clerical work for the military and went on to become a preschool teacher. While Bekeme is proud of her personal and professional achievements, she did always feel the absence of her high school diploma. 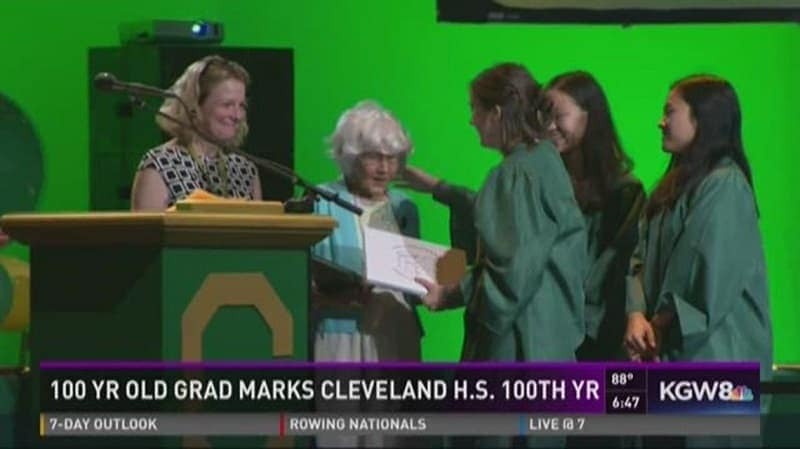 At the Cleveland High School’s Class of 2016 graduation, the school honored one of Portland’s oldest citizens, Leah Vogel Hahn. Not only did the school give Hahn an honorary degree, it was also celebrating its 100th anniversary. Hahn did attend high school for a few years but had to leave after sophomore year to help out her family during the Great Depression. As an adult, Hahn worked at the American Can Company and eventually worked at the shipyard. Hahn’s daughter, Becky Monteith, says that those were Hahn’s “Rosie the Riveter days.” Monteith is the one who contacted Cleveland High School about giving Hahn an honorary degree. 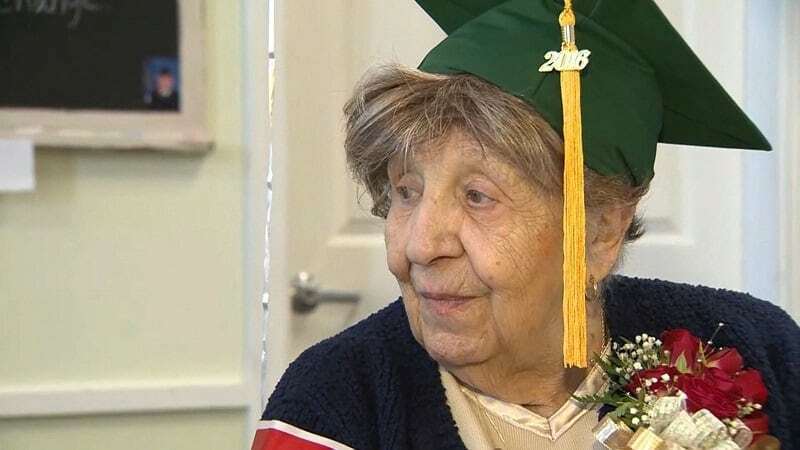 Clare Picciutto’s daughter, Deborah Picciutto, was the mastermind behind getting her mother a high school degree at 100 years old. According to Deborah, Clare was supposed to go to high school in the 1930s, but the Great Depression hit. While Clare’s brothers were allowed to finish school, her parents asked her to get a job to help the family. 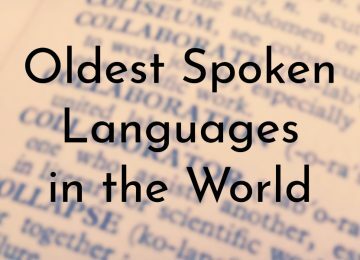 This didn’t stop Clare from trying to learn and she often read dictionaries and encyclopedias for fun. Deborah surprised her mother with help from the superintendent of North Reading Public Schools, Jon Bernard, who presented Clare with a cap and gown, a gold honors tassel, and an honorary high school diploma. 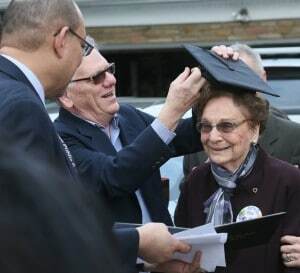 In 2015, Marie Hunt received an honorary degree from River Valley High School, 87 years after she would have originally graduated from high school. Hunt dropped out of school after 8th grade because she lived too far away from the high school. Instead, Hunt took care of her eight younger siblings while she was a teenager. Hunt went on to have a variety of jobs and led a happy life. However, Hunt always regretted not completing her education and her nurse worked with River Valley High School to make her dreams come true. Butler never even attended high school because he dropped out of school in the 8th grade. He went to work to help support his mother and siblings and then joined the Army during World War II. After the War, Butler laid pipes for the city’s water departments and maintained his physical health – he even kept driving until he was 100! 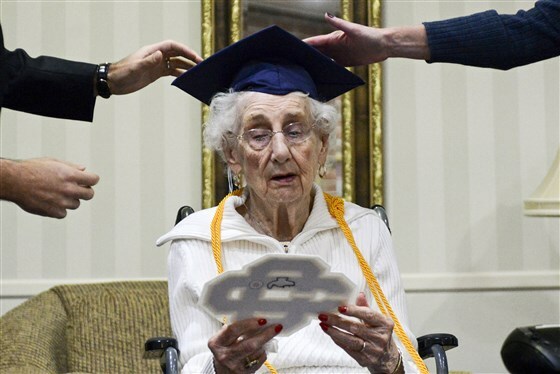 Lela Burden received an honorary high school diploma at the age of 111, which makes Burden the oldest high school graduate in the world. Burden originally attended Booker T. Washington High School in Norfolk, Virginia in 1918. However, the school was shut down following a bad flu epidemic and students were told to stay home. Instead of sitting idly, Burden decided to go to work and by the time the school reopened, Burden was committed to her new jobs. Despite not completing her formal education, Burden kept her mind sharp by reading the newspaper everyday. Burden also has excellent memory and remembers when the Titanic sank.